An entirely new system of ‘Battle Points’ will allow players of Star Wars Battlefront II to call in reinforcements in tough moments. The points will be awarded whenever a player contributes to their team’s progress, by saving an ally for example, or just for working toward an objective. BPs can also be bought. Typically, players start matches as one of four classes: officers, assault troopers, heavy troopers or specialists. With the new BP system, the tides of battle can be changed by respawning as reinforcements. These reinforcements can include vehicles (like the AAT for 2000 points) or special characters (e.g. the B2 Super Battle Droid). You can continue earning Battle Points as one of these reinforcements. Players will also have the option of cashing in large amounts of Battle Points to respawn as heroes. With 5000 Battle Points, a player can respawn as Darth Maul, for example. Normally, respawning as a hero is based on tokens. The versatility of Battle Points means that players can be flexible in how they assign them. For example, they can use them all at once to lead the charge as Yoda or use them in small amounts, mounting progressive attacks as a trooper. Players can also use battle points to respawn as heroes. The Battle Points system is one among several new features of the Star Wars Battlefront enterprise, including 12 new battlefields, online multiplayer action for up to 24 players and improved overall single-player experience. 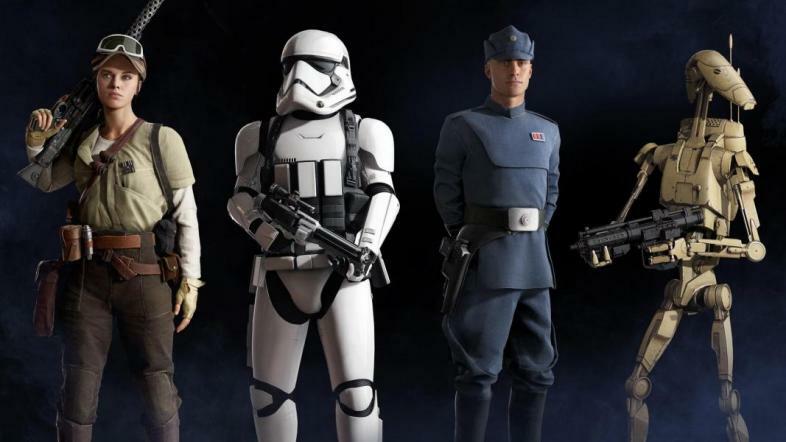 In addition to the standard edition, Star Wars Battlefront II will also have an Elite Trooper Deluxe Edition, which will include new skins, upgrades and game access before the mid-November release. A story-teller descended from the myth-makers of ancient history, D.G. lives and breathes the narrative arts, able to move the masses and bring prophecy to life through the written word.